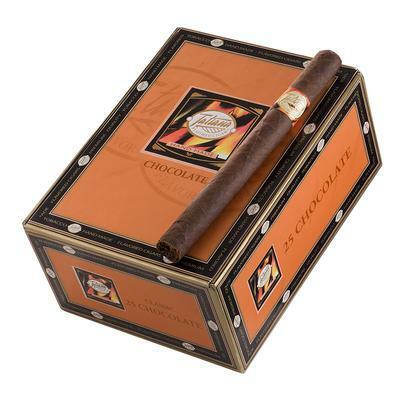 The Tatiana Classic Chocolate cigars are one of the leading flavored cigars in the world. Crafted from high quality Dominican tobacco, an Indonesian wrapper and finished with a Dominican wrapper. Every stick is expertly finished with premium quality flavors. Tatiana Classic Chocolate: Mild tobacco flavored with luxurious chocolate! Great with a cup of coffee!